Located in the heart of Abu Dhabi and now at our newly opened Dubai location in Damac Maison Canal Views, Business Bay, Sushi Central brings you the healthy alternative. 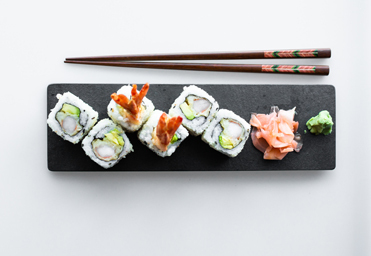 Our dishes are artistically created by professional sushi chefs with a modern and exciting twist using only the freshest ingredients. Great for the whole family, friends or for a quick snack, our restaurants are designed with a modern, simple atmosphere that reflects the food we serve. Our delivery service will arrive promptly in elegant, practical packaging that seals in the freshness of our meals. 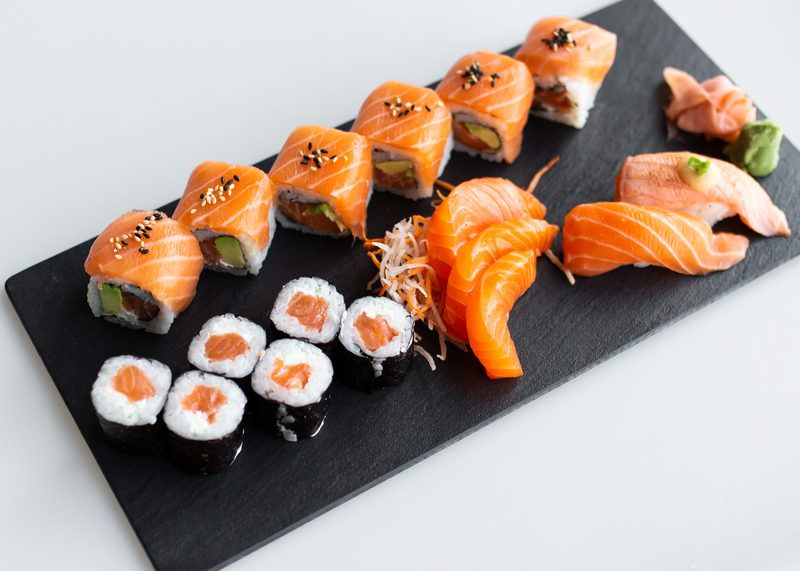 Sushi Central caters to your sense in adventure the refined sushi palate. Salmon cubes mixed with spicy mayo sauce, avocado, cucumber, radicchio, edamame, tobiko, spring onion, coriander, black and white sesame seeds. 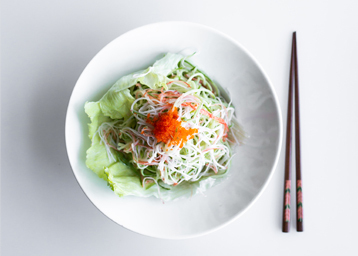 Slivers of crabstick and cucumber mixed with tobiko and ponzu mayo dressing. Teriyaki seared salmon, avocado, cucumber, edamame, carrot, spring onion and black and white sesame seeds. "Great food definitely going to order from them again." "Always the best at everything. I love this place so much." "The Summer Dew Bento Box is awesome The sushi is delicious and the edamame is perfect I highly recommend this dish"